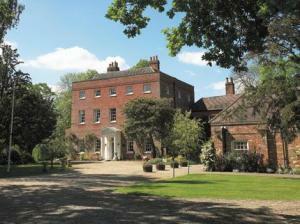 Choose from 2 hotels and guest houses in Epping. Shown below a just a selection of the hotels available. To search within an area please use the menu on the right. Set in 22 acres of beautiful grounds, Mulberry House has impressive Georgian architecture, boasting 2 restaurants and elegant rooms. There is excellent access to the M11 and M25 motorways. Sample delicious cuisine in the hotel restaurant, overlooking the beautiful lake. Dine al fresco on the picturesque terrace, during the summer months. Each well furnished room has a plasma-screen TV and a private bathroom. Free Wi-Fi internet access is provided. The hotel has 6 meeting rooms with conference facilities. Easily accessible from the M11 and M25, the hotel offers free parking and is just a short distance from Epping Forest and London; it is also convenient for Stansted Airport. Quality Hotel Epping, London (Bell Hotel) is conveniently located near to Epping Town tube station where there are Central Line connections to central London, while the towns of Harlow and Chelmsford are a short drive away. The hotel is an ideal place to stay; it places you in a different setting compared to the hustle and bustle of central London, and yet is accessible when you wish to spend a day or 2 in the capital. The main building of the hotel reflects its origins as a 16th century inn, while the bedrooms are situated in a purpose built modern block. 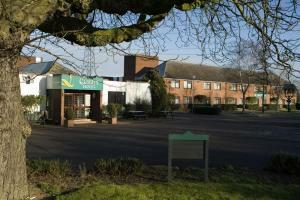 Public areas include a popular bar and the Turpins restaurant, which offers a range of modern dishes.